Nippers Nursery Kirkliston is looking for a fully qualified nursery practitioner to work within busy and expanding nursery. Applicants must hold a relevant childcare qualification - SCQF level 7 or HNC in childcare. We would also be keen to meet with applicants that are due to qualify in the summer. All applicants will be subject to reference and PVG checks. Job Title: Deputy Nursery Manager Hours of work: On a rota basis between 7.30 am – 6 pm. Responsible to: Nursery Manager Are you an enthusiastic and experienced Deputy Manager looking for a new challenge, look no further, have a read of the roles and responsibilities you could be taking on! Job Purpose: To assist the Manager in the management of the nursery. To ensure a high standard of physical, emotional, social and intellectual care is provided for children placed in the nursery To lead and support staff in the nursery. To implement the daily routine within the nursery. Person specification Knowledge A level 3 qualification and a willingness to achieve EYPS. Knowledge and understanding of planning and providing high-quality childcare and education in line with the Early Years Foundation Stage framework. Knowledge and understanding of Health and Safety management. Knowledge and understanding of supporting children’s behavior Awareness and understanding and commitment to diversity and equality. Skills An enthusiastic approach to working with early years children Demonstrate good practice in early years care and education Flexibility Committed to working as part of a team. Good interaction with children. Ability to model good practice to staff. Provide evidence of the ability to manage, lead and support a team. Ability to work in partnership with parents and carers. Effective time management and organizational skills. Provide evidence of child protection, equal opportunities, first aid, and food hygiene training. Demonstrate good interpersonal skills including the ability to use judgment and common sense, and be able to work on own initiative. Experience Experience of working in childcare setting and some leadership experience within a daycare setting Have experience of working and caring for babies. Experience of working in consultation with staff in planning, developing, monitoring and evaluating curriculum and frameworks. Alpha Nurseries are committed to safeguarding and promoting the welfare of children and young people and the company expects all staff and volunteers to share this commitment. This post will be offered subject to satisfactory references, an enhanced DBS and children's barred list check. Job Purpose: To provide a high standard of physical, emotional, social and intellectual care for children in the nursery. To ensure all individual needs of children are identified and met. To understand the characteristics of effective teaching and learning and implement these with all children. To ensure all Company policies, procedures and operational practices are adhered to at all times. To be a key person to a group of children, planning and implement a programme of activities suitable to their development using the Early Years Foundation Stage Framework (EYFS). Person specification Knowledge A full and relevant level three qualification. Knowledge and understanding of planning and providing high quality childcare and education in line with the Early Years Foundation Stage framework. Knowledge and understanding of supporting children’s behaviour Awareness and understanding and commitment to diversity and equality. Skills An enthusiastic approach to working with early years children Demonstrate good practice in early years care and education Flexibility Committed to working as part of a team Good interaction with children Ability to work closely and constructively with children Recognise that parents/carers are the main educators Ability to model good practice to staff Ability to work in partnership with parents and carers Effective time management and organisational skills Ability to use judgement and common sense, and be able to work on own initiative. Experience Experience of working in childcare setting Have experience of working and caring with babies Experience of observation, planning and assessment and completing learning journeys Hours of work: Shifts on a rota basis between 7.30am – 6pm. Alpha Nurseries Group is committed to safeguarding and promoting the welfare of children and young people and expects all staff, volunteers and students to share this commitment and this post will be offered subject to satisfactory references, an enhanced DBS and children's barred list check. Position: Out of School Practitioner Responsible to: Nursery Manager Job Purpose: To provide a high standard of physical, emotional, social and intellectual care for children in the nursery. To ensure all individual needs of children are identified and met. To understand the characteristics of effective teaching and learning and implement these with all children. To ensure all Company policies, procedures and operational practices are adhered to at all times. To be a key person to a group of children, planning and implement a programme of activities suitable to their development using the Early Years Foundation Stage Framework (EYFS). Person specification Knowledge A full and relevant level three qualification. Knowledge and understanding of planning and providing high quality childcare and education in line with the Early Years Foundation Stage framework. Knowledge and understanding of supporting children’s behaviour Awareness and understanding and commitment to diversity and equality. Skills An enthusiastic approach to working with early years children Demonstrate good practice in early years care and education Flexibility Committed to working as part of a team Good interaction with children Ability to work closely and constructively with children Recognise that parents/carers are the main educators Ability to model good practice to staff Ability to work in partnership with parents and carers Effective time management and organisational skills Ability to use judgement and common sense, and be able to work on own initiative. Experience Experience of working in childcare setting Have experience of working and caring with babies Experience of observation, planning and assessment and completing learning journeys Alpha Nurseries are committed to safeguarding and promoting the welfare of children and young people and the company expects all staff and volunteers to share this commitment. This post will be offered subject to satisfactory references, an enhanced DBS and children's barred list check. Position: Day Care Practitioner - Bank Staff IN Dereham, NR19 1HD. Hours of work: Shifts on a rota basis between 7.30am – 6pm. Responsible to: Nursery Manager Job Purpose: To provide a high standard of physical, emotional, social and intellectual care for children in the nursery. To ensure all individual needs of children are identified and met. To understand the characteristics of effective teaching and learning and implement these with all children. To ensure all Company policies, procedures and operational practices are adhered to at all times. To be a key person to a group of children, planning and implement a programme of activities suitable to their development using the Early Years Foundation Stage Framework (EYFS). Person specification Knowledge A full and relevant level 3 qualification. Knowledge and understanding of planning and providing high quality childcare and education in line with the Early Years Foundation Stage framework. Knowledge and understanding of supporting children’s behaviour Awareness and understanding and commitment to diversity and equality. Skills An enthusiastic approach to working with early years children Demonstrate good practice in early years care and education Flexibility Committed to working as part of a team. Good interaction with children. Ability to work closely and constructively with children. Recognise that parents/carers are the main educators Ability to model good practice to staff. Ability to work in partnership with parents and carers. Effective time management and organisational skills. Ability to use judgement and common sense, and be able to work on own initiative. Experience Experience of working in childcare setting Have experience of working and caring with babies. Experience of observation, planning and assessment and completing learning journeys. Alpha Nurseries are committed to safeguarding and promoting the welfare of children and young people and the company expects all staff and volunteers to share this commitment. This post will be offered subject to satisfactory references, an enhanced DBS and children's barred list check. 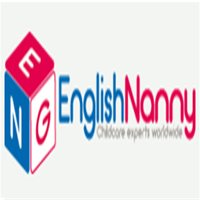 Job Description Position: Day Care Practitioner in Lincolnshire, PE20 1EJ. Hours of work: Shifts on a rota basis between 7.30am – 6pm. Responsible to: Nursery Manager Contracted Hours: 30 hours per week Job Purpose: To provide a high standard of physical, emotional, social and intellectual care for children in the nursery. To ensure all individual needs of children are identified and met. To understand the characteristics of effective teaching and learning and implement these with all children. To ensure all Company policies, procedures and operational practices are adhered to at all times. To be a key person to a group of children, planning and implement a programme of activities suitable to their development using the Early Years Foundation Stage Framework (EYFS). Person specification Knowledge A full and relevant level 3 qualification. Knowledge and understanding of planning and providing high quality childcare and education in line with the Early Years Foundation Stage framework. Knowledge and understanding of supporting children’s behaviour Awareness and understanding and commitment to diversity and equality. Skills An enthusiastic approach to working with early years children Demonstrate good practice in early years care and education Flexibility Committed to working as part of a team. Good interaction with children. Ability to work closely and constructively with children. Recognise that parents/carers are the main educators Ability to model good practice to staff. Ability to work in partnership with parents and carers. Effective time management and organisational skills. Ability to use judgement and common sense, and be able to work on own initiative. Experience Experience of working in childcare setting Have experience of working and caring with babies. Experience of observation, planning and assessment and completing learning journeys. Alpha Nurseries are committed to safeguarding and promoting the welfare of children and young people and the company expects all staff and volunteers to share this commitment. This post will be offered subject to satisfactory references, an enhanced DBS and children's barred list check. Job Title: Deputy Nursery Manager Hours of work: On a rota basis between 7.30 am – 6pm. Responsible to: Nursery Manger Contract: 37.5 hours per week Job Purpose: To assist the Manager in the management of the nursery. To ensure a high standard of physical, emotional, social and intellectual care is provided for children placed in the nursery To lead and support staff in the nursery. To implement the daily routine within the nursery. Person specification Knowledge A level 3 qualification and a willingness to achieve EYPS. Knowledge and understanding of planning and providing high quality childcare and education in line with the Early Years Foundation Stage framework. Knowledge and understanding of Health and Safety management. Knowledge and understanding of supporting children’s behaviour Awareness and understanding and commitment to diversity and equality. Skills An enthusiastic approach to working with early years children Demonstrate good practice in early years care and education Flexibility Committed to working as part of a team. Good interaction with children. Ability to model good practice to staff. Provide evidence of ability to manage, lead and support a team. Ability to work in partnership with parents and carers. Effective time management and organisational skills. Provide evidence of child protection, equal opportunities, first aid and food hygiene training. Demonstrate good inter-personal skills including the ability to use judgement and common sense, and be able to work on own initiative. Experience Experience of working in childcare setting and some leadership experience within a day care setting Have experience of working and caring with babies. Experience of working in consultation with staff in planning, developing, monitoring and evaluating curriculum and frameworks. Hemsley House Day Nursery is now a subsidiary company of the Storal Learning Group, and we are looking for a Deputy Manager to join our branch in Maidstone. Job Purpose The primary objective of the Deputy Manager is to assist the Nursery Managers in ensuring that the setting has the right staff, culture, policies, and resources to deliver the high standards of childcare and early years education expected by parents, Ofsted, and in accordance with Storal Learning’s values, specifically with the Hemsley House Day Nursery for 0 – 3 year olds. The Deputy Manager will work with the Nursery Managers to ensure the smooth daily running of the unit, which includes nursery administration, adhering to the policies and procedures, ensuring compliance with the Children Act and Health and Safety legislation and enhancing the quality of childcare provision. Main Responsibilities: Ensures that all children attending the unit are kept safe and receive rich and stimulating play experiences appropriate to their age and stage of development; Assists with quality improvement visits from the Area Managers and help implement action plans; Consistently ensures unit operations adhere to Storal Learning policies and procedures; Manages staffing ratios effectively, managing annual leave and staff absences, ensuring the setting is never under ratio; Deputises for the Nursery Managers during absence where necessary; Builds effective links between home and the setting and carries out prospective parent visits. Knowledge and Skills: Essentials Early years education and care qualification to at least NVQ Level 3 or equivalent, with preference for degree qualified practitioners. Understanding of special educational needs and equality of opportunity. Paediatric first-aid and food hygiene trained. Ability to communicate effectively both in writing and orally. Minimum of 1-year supervisory experience. Competent PC user (word processing, spreadsheets, emails). Terms and Conditions: Salary: Salaries are usually reviewed in April. You will normally be eligible for a salary review after completing one year’s service. Hours: 45 hours per week Monday to Friday – flexible start/finish times Holiday: 23 days per annum FTE, plus all Bank Holidays Benefits: Provision of pension scheme auto enrolment Continuous and funded professional development Employee Assistance Programme Referral Bonus Scheme About Storal Learning Storal Learning is a rapidly growing company which owns and operates nurseries across England. Our mission is to deliver the highest possible care and early years education to children, whilst always striving for continuous improvement. We believe a child’s early years are the most critical for developing the foundations of learning, behaviour and emotional well-being, which all influence later outcomes in school, work and society. The past 12 months have been remarkable for Storal Learning. We have grown from 4 to 14 nurseries and have entered 3 new regions of the country. We are cementing our reputation as the childcare provider of choice in our chosen markets and we continue to strengthen operations as we grow. We are now looking towards the next 18 months, which will see our growth continue at a rapid rate. Our mission is to always deliver the highest possible care and early years education to children, whilst always striving for continuous improvement as we believe a child’s early years are the most critical for developing the foundations of learning, behaviour and emotional well-being. An exciting opportunity to join our dynamic and supportive team of professionals. We are currently looking for a Nursery Nurse and a Room Leader in our setting. Ideally, the candidates will be experienced, energetic and positive, with sound understanding of EYFS and proven leadership qualities. A minimum level of required qualification is NVQ 3 in childcare and an advanced level of written and spoken English. We always celebrate and value diversity among children and staff. We are an Ofsted 'outstanding’ nursery based in Surbiton/Tolworth, registered for 72 children aged birth-five. Investing in staff training and progression opportunities is at the heart of what we do. Everyone is important to us and your passion and enthusiasm for working with children is always GREATLY APPRECIATED. Benefits include: * a robust performance/attendance/punctuality bonus system * regular reviews * team building outings * buddy awards * access to high quality ongoing CPD and training * fantastic career opportunities within a very supportive and caring environment * many staff returners and an exceptional staff retention record * staff flourish in the family-like atmosphere of our medium size nursery (72 places) rated very highly by parents and staff alike. Most parents come to us through personal recommendations and thanks to a proven track record. * staff have lunches provided, freshly cooked onsite every day 😊 * a rich and culturally diversified setting with well-equipped rooms and an outdoor play area. Please note that we are an equal opportunities employer. We do not work with agencies. To apply, please send your informative CV with a covering letter to: manager@sutherlandnursery.co.uk We are truly looking forward to reading each application with great attention and care. Supply/Temp nursery nurses needed in the London area. Many nurseries around London are looking for Nursery Nurses to cover on a day to day basis. We supply nursery nurses to many settings around London, these include Private & Government Nurseries Schools Creches Centres Holiday clubs If you are a Experienced, Qualified and flexible nursery nurse and meet the below requirements then please apply today. Requirements Up to date DBS (if not, this can be done through us) Childcare qualification (minimum level 3) Paediatric First aid Experienced Understanding of the EYFS When you join our agency, you will recieve many benefits such as: Competitive rates of pay £9.20-£9.75 an hour Chance to become employee of the month Holiday pay Oppurtunity to broaden your experience The ability to work on days and times that meet your needs and requirements. If you are a flexible, caring, creative, self-motivated and patient individual then please apply today. I look forward to hearing from you. 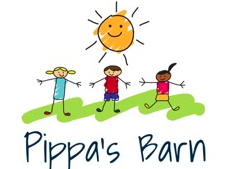 Pippa's Barn is based in Lechlade and is within the grounds of a family farm. Children are given the opportunity to visit the animals on a daily basis and enjoy the 4 outdoor play areas we have, including a woodland area. Hours: Full Time (Between the hours of 7:30-6:00 Monday to Friday – 40/45 hours per week) Salary: Dependant on experience and qualifications (will be discussed in an interview) Job Description: Be responsible for the Health and Safety standards appropriate for the needs of young children Liaising with parents and family members Taking part in meetings, open days and outings as required To ensure a high standard of physical, emotional, social and intellectual care for all children To keep records of your key children’s development and learning journey and share it with parents To give support to other team members within their immediate room and the wider nursery We are also able to offer the additional bonus of onsite accommodation available to rent at a reduced rate.